Air locked and reusable zipper bag that is light protected to keep herbs fresh for a long time. See description below for more information and a video. 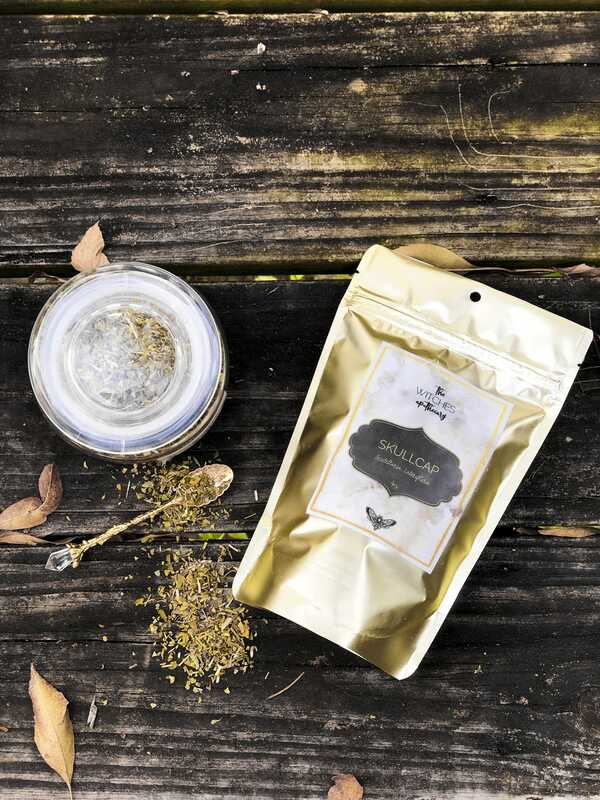 A 4 oz sealed bag is filled with dried organic Skullcap leaves. NOTE: Consult a physician before consuming anything.